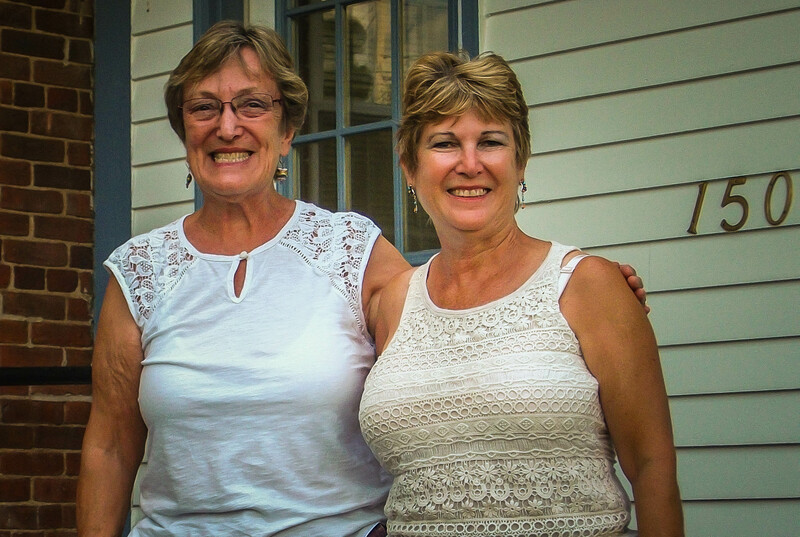 Our friend Linda has invited us to visit Hadley Mass for years. Many of our Pine Island friends are from this area. It finally worked out that we were in her area. We stayed at Thousand Trails RV Park in Sturbridge, about an hour from her home. Hadley is in the middle of several towns in western Massachusetts. These include Amherst and Northampton. There are 5 colleges and universities in the area and fortunately they were all on summer break during our visit. We were very impressed with all the farm stands in this area. Some are year round, some seasonal. 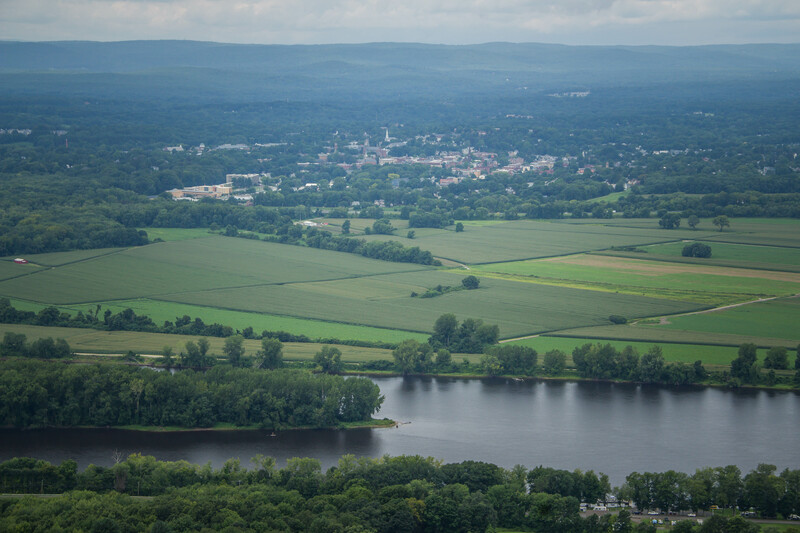 Another huge surprise to us was that this Connecticut River Valley is a huge tobacco growing area. We saw more here than in North Carolina and Virginia. News to us! 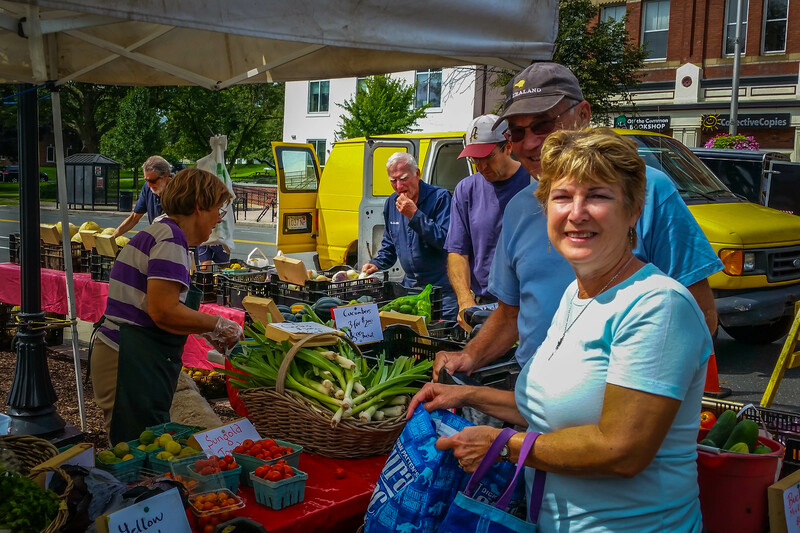 Amherst has a good farmer’s market. We enjoyed all the fresh sweet corn, tomatoes, peppers etc. 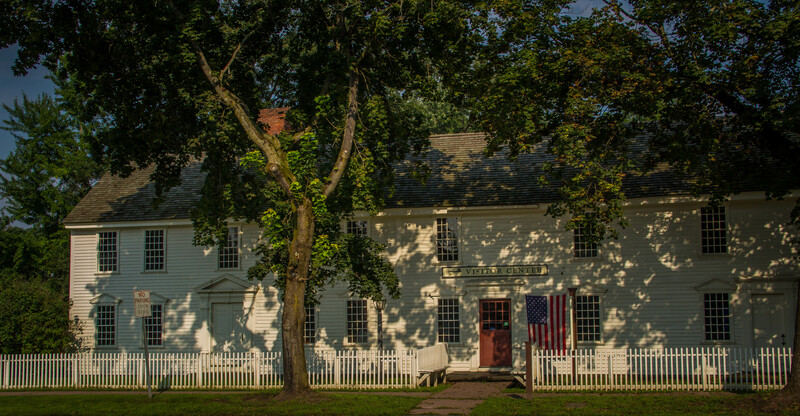 Deerfield Village is a low-key tourist attraction nearby that preserves a 17th and 18th century town in northwest Mass. The town was established when it was the northwestern end of the European settled colony. 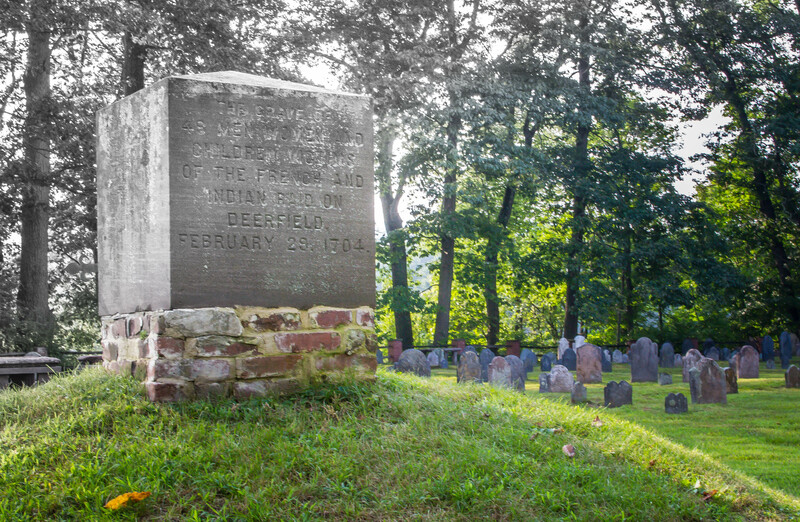 The cemetery in town has a monument to the men, women and children killed during a French and Indian raid in 1704 that wiped out the town. The homes are all owned by a foundation which offers self guided and docent led tours. We were impressed. Pine Island friends, Sandy and Linda were our tour guides for the day and also took us to the world headquarters of Yankee Candle. Their factory store is like an amusement park. The poet Emily Dickinson lived her entire life in Amherst. Our PI friend Sandy is a Dickinson distantly related. 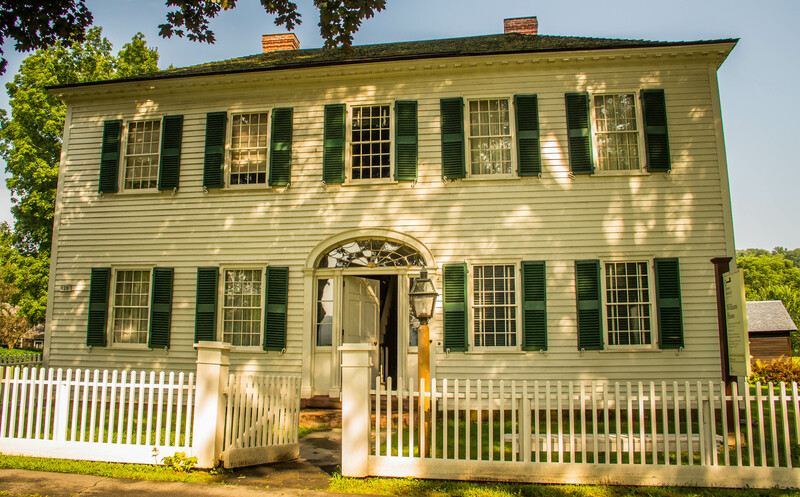 The home is well preserved and maintained. We had a very good tour but we had one odd character who kept sneaking away from the group. The guide handled him okay but was a little rattled. We didn’t know much about Emily but left with a good feeling. 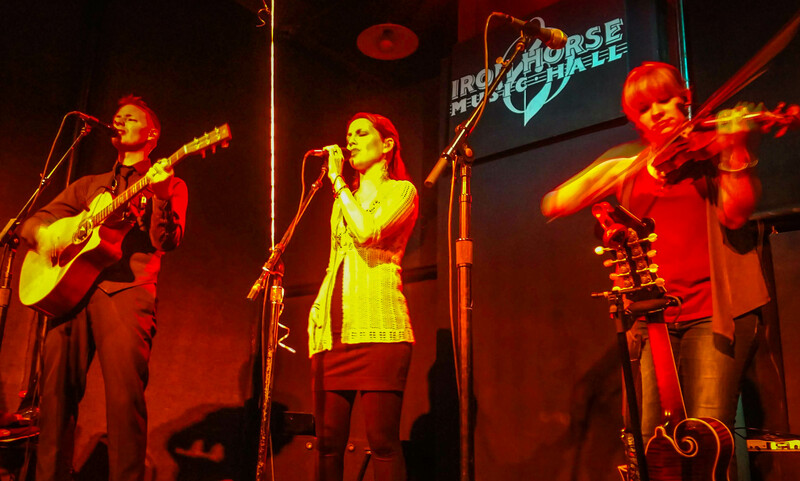 A highlight of our visit was a Celtic music show at the Iron Horse Music Hall in Northampton by the group Runa. We had never seen them before and they put on a great show in the little venue. We got the CD and the T-shirt. Thanks to Linda for finding this for us. 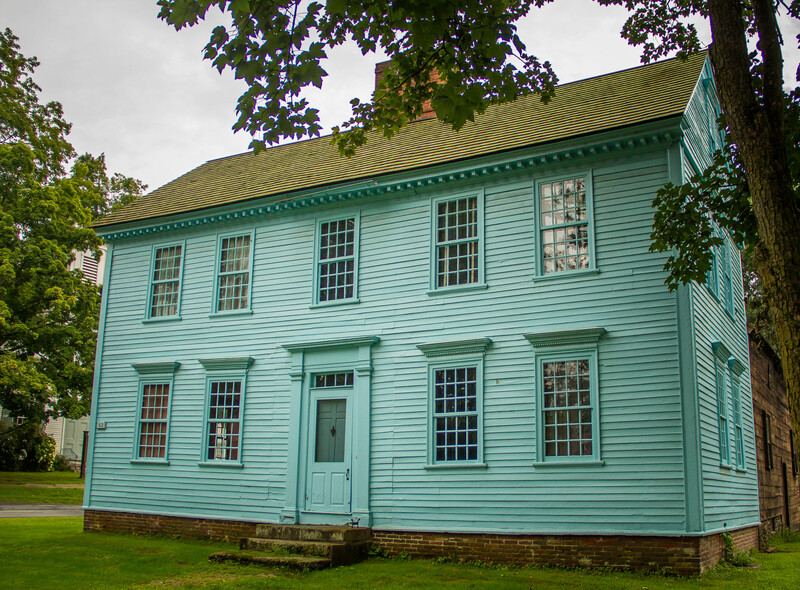 Another stop on our western Mass tour was Summit House on top of the nearly 1000 foot Mt. Holyoke in Stevens State Park. 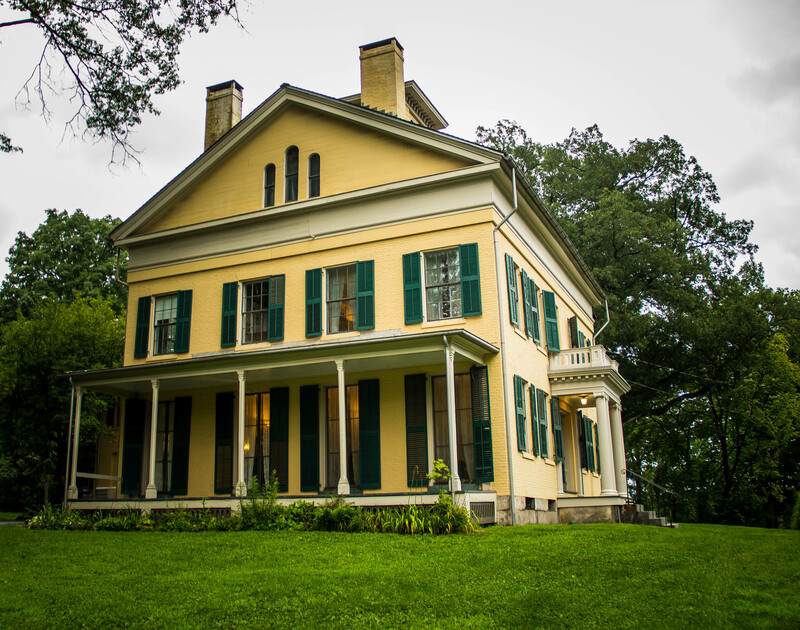 Great views of the Connecticut River valley and lots of history here. Alas our time was short in this area. Linda had a lot to do and we had to keep moving. This entry was posted in Massachusetts, RV Travel and tagged Amherst, Deerfield Village, Emily Dickinson, Hadley, Irish music, Iron Horse Music Hall, Mt. Holyoke, Northampton, Runa, Summit House, Yankee Candle. Bookmark the permalink. 3 Responses to Western Mass. As a lover of history, I’m really enjoying your Eastern tour. I love all those old homes and towns. We are really enjoying all the history in the Eastern states. Very different from Florida and the West. That is a beautiful area. Glad you are enjoying.